A palletising robot was recently sold by Accuweigh ’s Perth branch to the Aussie Organics plant in Serpentine, WA, for palletising bags of fertilisers. The installation of the palletising robot was necessitated by the current labour shortages in WA, which was hindering the growth of the company. A Fuji-Ace palletising robot will be installed to negate the need for 1 to 2 people for manually stacking the bags of fertiliser onto pallets. 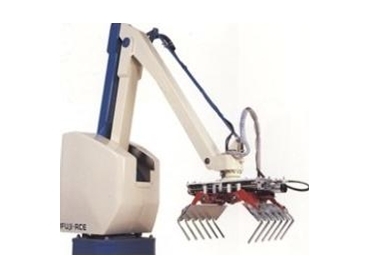 The EC-101 palletising robot from Fuji-Ace is highly efficient and provides a cost effective solution for meeting low to medium palletising requirements. This new generation of palletising robot provides an ultra-quiet operation, improved efficiency with maximum flexibility.